Guildie: Hey Stormwind’s under attack, i’m going to go see what’s up. Guildie: LocalDefense is still going off, but I can’t find anyone. 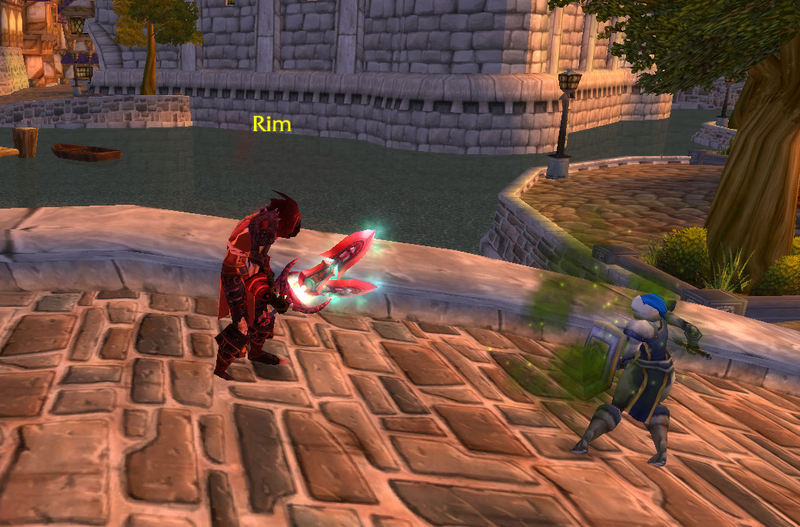 Normally a Rogue in Stormwind isn’t a big deal, but this guy is pretty bold. I constantly see him there alone, or maybe even with one other Rogue. He’s certainly not afraid to cause a scene in front of a group of Alliance be it in Trade District or the canals. The guy has certainly got the skills to pay the bills. Rim, you were a Worthy Opponent! More PvP that didn’t happen! At the time of writing, Rim is a member of Undisputed. Don’t be upset that he’s in Stormwind. He’s in his happy place. Surely someone just messed wit his flowers… or mineral veins in his case, I suppose. Previous story Still down, and i’m out.